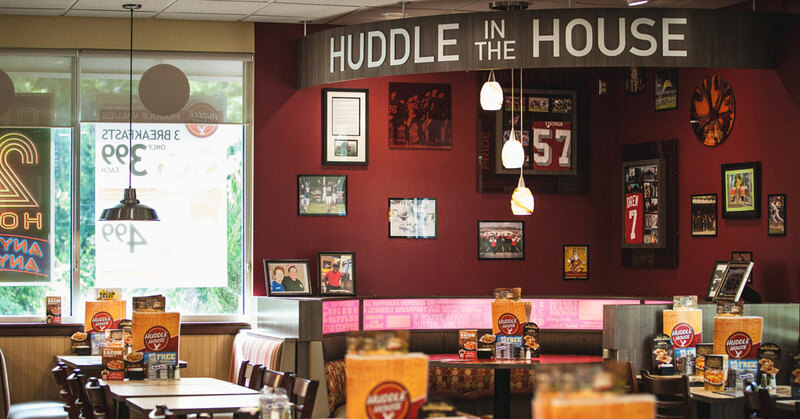 Huddle House is serving up growth with a new look and a proven franchise strategy on the road to continued rapid expansion. The nation’s most iconic neighborhood diner, known for its Southern hospitality and delicious comfort food, is kicking off 2019 with a new store footprint that features an option for a smaller, 2,000 square-foot building with fewer seats, but with the same warm environment that Huddle House fans have come to know and love. The smaller restaurant option retains the Evolution prototype design that has, in recent years, been responsible for boosting the brand’s average unit volume. The new store model opens the door for entrepreneurs to join a solid franchise concept with a lower total investment, with a significant reduction in development costs by an estimated $150,000 or more. With 390 Huddle House restaurants open, under construction, or in development, Huddle House is gearing up for continued growth. 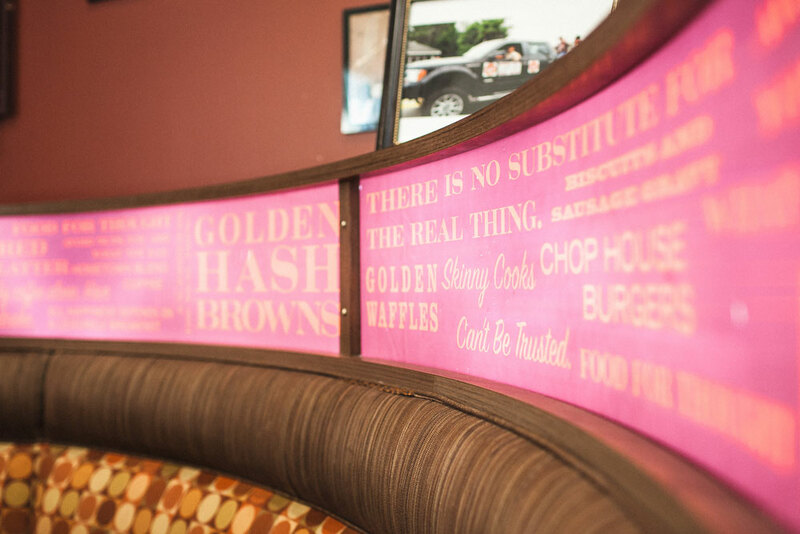 Over the next five years, Huddle House plans to open 12 new company restaurants annually to amplify the brand’s presence in communities across the Southeast. The first of these new corporate restaurants is set to open in March in Hokes Bluff, Alabama. In addition to corporate growth, the brand is continuing its robust franchise expansion strategy, with 10 new franchise stores set to open before the end of Summer 2019, spanning seven states from Virginia to Texas. Huddle House is riding a wave of momentum fueled by a banner year for the beloved family-dining franchise. The full-service brand opened 11 new restaurants in 2018 and signed an additional 25 franchise agreements across eight states. The brand also marked a milestone for average unit volume, with the top half of the franchise’s current Evolution design locations averaging over $1 million, as noted in the 2018 Franchise Disclosure Document. The Atlanta-based franchise has also been busy beefing up the operations support side of the business for scale. Last year, Huddle House began the system-wide rollout of e-Restaurant, a data-based back-office system used by major restaurant brands such as McDonald’s, Chipotle, and Taco Bell, that is designed to help franchise partners achieve greater efficiencies in food cost and labor management. On the consumer front, Huddle House ramped up its digital and social media advertising approach and launched a new mobile-responsive consumer-facing website and an online ordering app. The digital enhancements make it easier than ever to find a location, browse the menu, sign up for offers and news, join Huddle Up Rewards loyalty program, and order online. Loyal guests were also rewarded with the system-wide introduction of the new Two-Hand Sandwich line, with hearty and contemporized offerings like Roasted Turkey Bacon Ranch and Grown-Up Grilled Cheese, on toasted sourdough bread. The franchise world is taking note. Huddle House earned recognition on a number of prestigious franchise and restaurant industry lists in 2018, including Franchise Times Top 200+, Nation’s Restaurant News Top 10 Family-Dining Chains by Sales Growth, and Franchise Gator Top 100. To learn more about Huddle House franchise opportunities, visit huddlehousefranchising.com. For more information about the brand, visit the company website at huddlehouse.com.